A team of scientists, led by British Antarctic Survey (BAS), is planning an urgent mission to investigate a mysterious marine ecosystem that's been hidden beneath an Antarctic ice shelf for up to 120,000 years. The researchers want to discover how this marine ecosystem will respond to environmental change in a climate-sensitive region. The massive calving of the Larsen C Ice Shelf A68 iceberg, which is four times the size of London, exposes around 5,818 km2 of seabed. The research team is planning a ship-borne research cruise to the region before the biological communities there begin to change following the movement of the giant iceberg. However, they can only achieve this if the iceberg continues on its path away from the remaining ice shelf. Satellite monitoring will reveal options for navigating through the sea ice. All being well the team will spend three weeks in February 2018 on board the BAS research ship RRS James Clark Ross. "We have a unique opportunity to study how marine life responds to a dramatic environmental change. Normally, it takes years to plan the logistics for marine research cruises. Our funder, NERC and our ship operations team recognise the urgency to act quickly. Everyone is pulling out the stops to make this happen. All we need now is for the iceberg to move far enough away from the remaining shelf and the sea ice to melt so that we can navigate safely. "It's exciting to think about what we might find. Using a range of different techniques, our multi-disciplinary approach by an international team, will examine the marine ecosystem spanning the water column from the surface of the ocean all the way to the seabed and the sediment." This newly exposed marine area is the first to activate an international agreement made in 2016 by the Commission for the Conservation of Antarctic Marine Living Resources (CCAMLR). This agreement designates Special Areas for Scientific Study in newly-exposed marine areas following the collapse or retreat of ice shelves across the Antarctic. 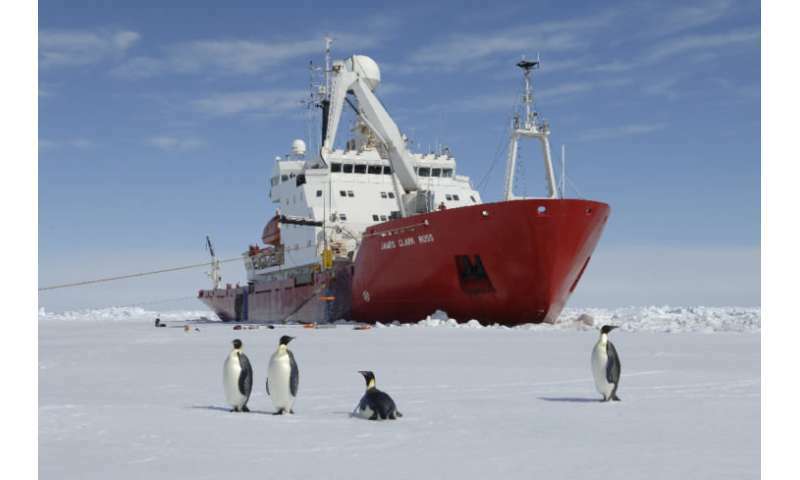 The agreement came following a European Union proposal to CCAMLR, led by British Antarctic Survey (BAS) scientists. "The calving of A68 offers a new and unprecedented opportunity to establish a scientific programme to address questions focussed on the mobility and colonisation capacity of benthic marine species. We hope that we'll be able to answer fundamental questions relating to the sustainability of polar continental shelves under climate change, including potentially the processes by which benthic populations migrate, the extent to which benthic organisms act as a biological carbon sink, and the degree to which the distribution of marine benthos can be used to interpret past responses to climate change in various systems. "It's important we get there quickly so we can make a baseline assessment before the newly exposed marine environment changes and new species begin to colonise the area." While the team makes its plans to mobilise, BAS glaciologists and remote sensing specialists continue to monitor the movement of the Larsen C Ice Shelf. In early 2018 researchers will make observation flights from BAS's Rothera Research Station. "We are watching the progress of the Larsen berg very closely as we haven't seen a berg of this size in the area for some time and it has the possibility to obstruct shipping lanes in the area, especially as it starts to break up and disperse."